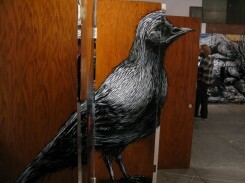 Roa sent us over a nice note about his LA pop-up show that popped off last Saturday night. 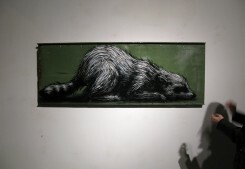 This is Roa’s first West Coast solo show. It is presented by Thinkspace at The New Puppy Gallery. At the moment he was still working on building up the show. 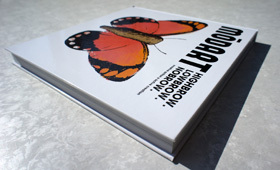 We can see it all came together nicely. It’s only up until November 24th so make sure to check it out while you have a chance.